Mexico has joined the ranks of countries hoping to lure the undeclared offshore assets of their taxpayers back onshore ahead of the OECD’s automatic exchange of financial account information regime set to begin this year. Juan Ignacio López Domínguez, of the Mexico City office of the international law firm of White & Case. In a client notice on the White & Case website, Aguayo and Domínguez note that the legislation setting the 2017 Repatriation Tax Amnesty in play was published on 18 January in the Official Gazette of the Federation, in the form of a presidential decree (Decreto que otorga diversas facilidades administrativas en materia del impuesto sobre la renta relativo a depósitos o inversiones que se reciban México). According to Aguayo and Domínguez, the degree establishes that, “during a six month period starting January 19, Mexican resident taxpayers, and permanent establishments in Mexico of non-Mexican residents, who, directly or indirectly, obtained income that has been kept abroad until December 31, 2016, may elect to pay the income tax applicable on such income by applying an 8% flat rate on all funds repatriated to Mexico, and complying with the rules set forth in the decree”. Funds that are currently being reviewed or audited by tax authorities or otherwise involved in legal proceedings wouldn’t be eligible for the amnesty scheme. Mexico is one of 54 countries that have signed up to participate in the OECD’s Common Reporting Standard (CRS) regime, which provides for the automatic exchange of information held on accounts held in the participating jurisdictions’ financial institutions, this year; some 47 others have agreed to do so beginning in 2018. 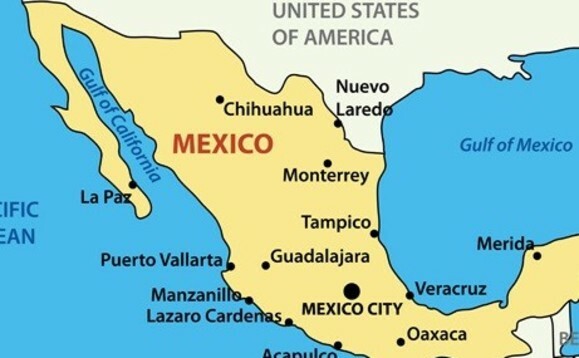 One of the few countries that has not yet indicated any plans to participate in the CRS is Mexico’s neighbour to the north, the United States, which argues that it doesn’t need to because it has its own Foreign Account Tax Compliance Act in place, although this was introduced mainly to give the US information on the offshore holdings of American citizens. To read and download Aguayo and Domíngue’s report, click here. A number of other countries around the world have introduced tax amnesties in an effort to make the most of a predicted rush on the part of those with undeclared assets to bring them in from the cold ahead of the introduction of the CRS. Among them is Indonesia, which, as reported last October, was already being declared a success, even though it had another six months to run, with more than US$263bn having been declared, and more than 347,000 taxpayers having signed up to receive substantial tax discounts under the scheme. In Latin America, meanwhile, Argentina and Brazil have launched tax amnesty schemes over the past two years, with Brazil announcing last November that it had collected the equivalent of US$15.8bn in taxes and fines under its tax amnesty, after the equivalent of around US$50bn in undeclared offshore assets had been reported.